There exist two kinds of dreams. There are dreams that one has had and those that one has. The former are often nonsensical in nature. The latter are slightly more corporeal; it’s a “thing” that one wants above all else. It might be a state of being or simply a set of objects. But whatever the dream might pertain to, it’s important to not only strive for that dream but to also know what that dream is. For while they may be the most difficult part of your life to obtain, they’re also the most rewarding. And as Shirobako demonstrates, sometimes those dreams have been around you all along. Shirobako follows Miyamori, a new production assistant working for known animation company Musashino Animation. Alongside her friends Ema, Midori, Zuka, and Mii, Miyamori’s skills start to be tested in the field she grew up loving so much. 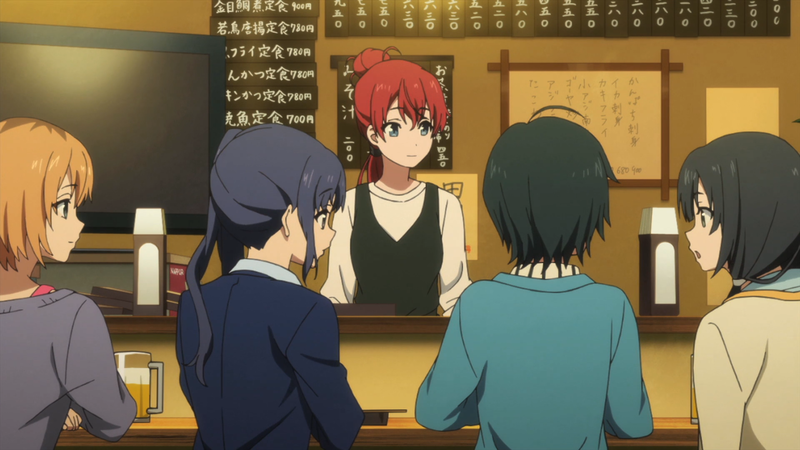 Although typically listed as a comedy and a drama, Shirobako is first and foremost a slice-of-life anime. Or more specifically a slice-of-work anime. It dabbles in certain sections that are normally considered regular for everyday people — going to an amusement park, having meet-ups, and visiting old locations — but what it does so wonderfully is use such ventures as backdrops for its focus. This focus is the aforementioned work. 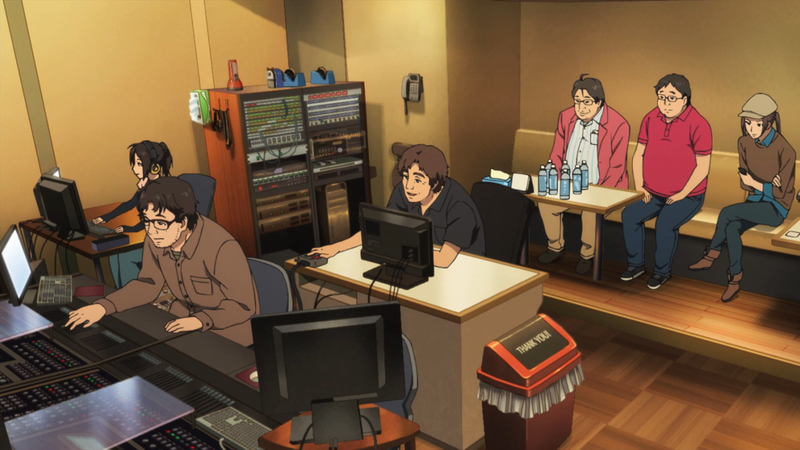 Shirobako divulges to its audience all of the inner workings of anime production. This cannot be stressed enough: any aspect of what goes into making anime is looked at. The creation of key frames, CG modeling, storyboard directing, field research, voice acting retakes, outsourcing, coloring, sound effect manipulation, source material collaboration, product delivery; nothing is left untouched by Shirobako. And in this way, the show is both unique and educational. The subject tackled has never really been done before; the majority of fans of this medium have always had a general idea of what goes down, but nothing as concrete as what this show provides. In this way, what is given is wholly knowledgeable, not just for the audience but for anyone looking to understand what exactly an anime is. At the same time, it follows through with this theme of work by keeping everything entertaining. Normally when you think of someone’s job, it’s sitting in a cubicle, doing boring paperwork, and other menial tasks. Anime making contains these facets as well, but Shirobako never makes them its prime target and instead aims at showcasing allparts of what makes work have its name. There are those elated times when the cast are seeing progress, having a celebratory party, or simply enjoying the stuff they are participating in. But there are also those low moments with irritating coworkers, unhelpful messengers, and encroaching deadlines. By encompassing everything that work entails, rather than just honing in on the hard labor, the anime is able to maintain both a sense of realism and a sense of understanding. 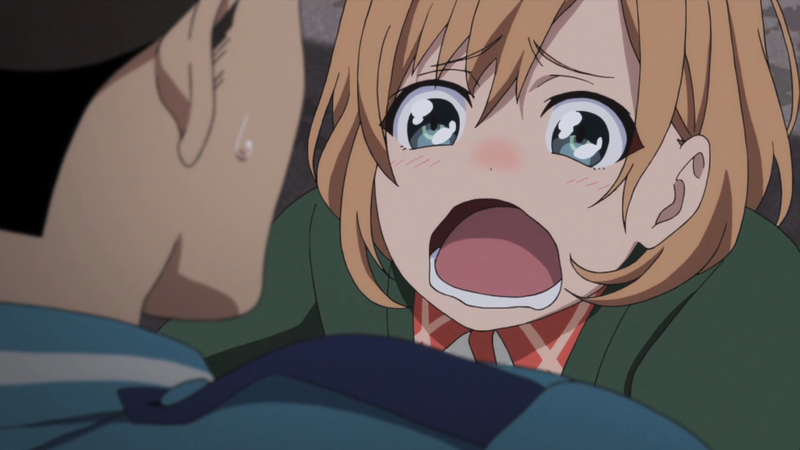 Shirobako maintains its forward momentum as well with its art and animation. 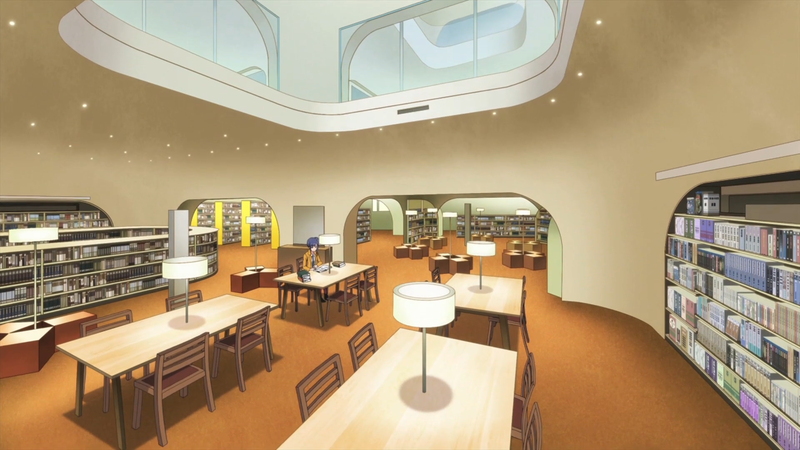 The art style for the show not only has much detail but continues the trend of managing to grab as many parts of a particular subject as possible. This time, it is in the locations that are visited. Despite the anime revolving around Musashino Animation — which itself has the animator’s abode, production rooms, and “jail closet” — there are a multitude of environments that are trekked. Pastoral landscapes, intercity offerings, older buildings, noodle dives, major company skyscrapers, personal apartments; the anime ceases to rest on its laurels, always looking to make the world feel dynamic. Character designs are also incredibly well done. Miyamori’s overalls, Midori’s stars-and-stripes, Zuka’s red hair, Ogasawara’s gothic attire, and Yano’s twin-tails are simultaneously anime and real looking. And the whole cast has the same vibe, with people being distinct but not overly unique. On top of this, some characters are even based on real-world counterparts, giving the show just one more step in the direction of realism. Actual animation is also of top-notch quality. The use of CG is minimal, with characters seeing fantastic movement in all parts of their life, from drawing an in-between to holding a casual conversation. Faces are expressive, interactions are fluid, and other activities shy away from remaining static. The amount of characters attributed to Shirobako, like most major production companies, is massive. And while some may get a bit more spotlight than others, it wouldn’t do most of them justice to talk about any of them individually — with the exception of Miyamori, the main star of the anime. While in high school, Miyamori worked with her four closest friends to make an anime, sparking that creative gene within her. Thus she went down the road of becoming a producer within the medium. But the show starts with her in a slump, seemingly annoyed by the work she is doing, and not being as happy-go-lucky as she was back in the day. In essence, she’s unsure of her position, if the path she has chosen is the one right for her. Yet, she continues down this road, experiencing the many sides to anime and the many people related to the process. She undergoes stress, happiness, sadness, anxiousness; an emotional hurricane absorbs her through it all, just as any work place would. But more than this, she gets to learn from the lives of the friends around her. Seeing Ookura’s passion for hand-drawn backgrounds, reliving Masato’s past, and witnessing the beautiful moment when Zuka finally got the break she deserved were events that were individually promising but collectively special. And by the end of the show, Miyamori is no longer unsure about herself; rather, she is a dreamer, fully realizing that she’s always loved anime and the people behind it. That this is where she belongs. Looking at the rest of the cast in the general sense, they, too, offer their own perspectives. Each cast member is characterized in a specific manner — Iguchi is playful, Andou is carefree, and Katsuragi is always worried — making them have their own respective ways of dealing with the situations they find themselves in. Some even see personal growth despite the large amount of people involved — Ema, Midori, Zuka, and Mii fall into this category. But most of all, everyone represents a specific work personality. Tarou is the fool, Sugie is the older veteran, Segawa is the hard worker, Satou is the newcomer, and Chazawa is the insufferable jerk. These are quick examples, but it gets the point across; people, like the anime that is worked on, come in all shapes and sizes. Being able to cooperate with them, respect them, and most important of all understand them goes a long way towards making work life that much easier. Many can be your friends, a few might be your enemies, but at the end of the day, they’re your family. A family that, through thick and thin, bands together to help one another, to make the best of any situation, and create everlasting memories that one won’t soon forget. 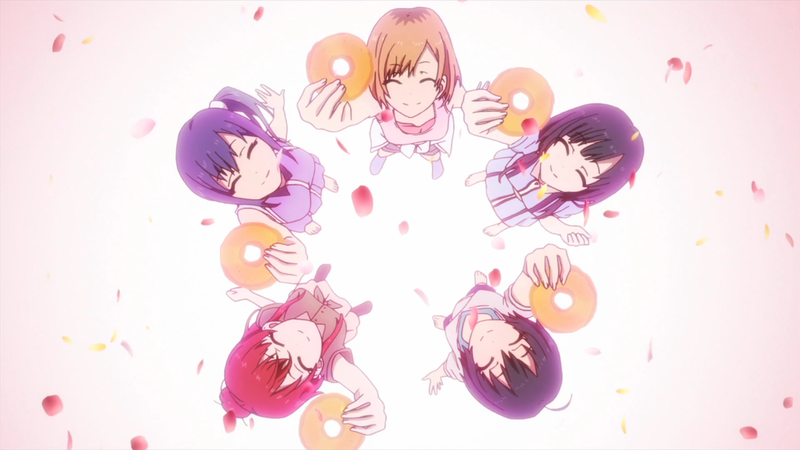 And for Shirobako, such a family couldn’t be more connected. The first OP is a good track that begins with the female vocalist working in tandem with the piano and drums. The halfway point slows down slightly, with the singer bringing about some catchy lyrical singing. As it nears its end, the track continues being playful, with the back-and-forth beat and singing. The second OP starts off a bit weaker, with more simple beat and singing. But it starts to morph into a more hopeful song, with background singers coming in, and chimes being utilized at just the right moments. The singer can have particularly catchy parts at times, but the real winner is the beginning and ending instrument that gives the piece its signature sound. The first ED is Shirobako’s first real blemish. It doesn’t seem to have the same amount of effort put into it, when compared to the music and everything else. The unified singing is alright, the drum beat is okay, and the ending “love letter” is fine for what it is. The track screams mediocre, and doesn’t hold a candle to what the rest of the show has to offer. But the second ED does an about-face; it’s a fantastic track. It opens with a semi-techno beat and chimes, which leads into a good bout of singing. The beat continues, until the halfway point, where the real magic begins. It’s a simple “la-loo-la-loo-la” but one can’t help but to sing along. The tone, the onomatopoeia, and interjected vocals in-between make it an absolutely enjoyable piece both inside and outside the anime. And just for good measure, the animation associated with it is something that only Shirobako could do. The soundtrack is also nicely done, by perfectly capturing that everyday work feel. It contains more float-y pieces that calm the mind, slower piano-and-ambient ones for the more emotional scenes, and more trumpet-filled tracks for faster-paced, high-stakes “action.” They’re a good set of tunes that work in parallel with what Shirobako presents. As far as voice-acting is concerned, those involved perform above-average within their respective roles. Special shout-outs are in order for the main cast — Juri Kimura as Miyamori, Haruka Yoshimura as Ema, Hitomi Ohwada as Midori, Haruka Chisuga as Zuka, and Asami Takano as Mii — for being relative newbies in the field of anime yet dishing out such splendid performances. The show could actually be quite comedic when it wanted to be, usually when introducing the quite unrealistic scenes that would pop up from time to time. The Director’s “belly arts” moves, Kunogi’s extreme shyness, and Tarou’s nonchalant walk into a brawl at the company are specific instances that stick out in my mind as being quite hilarious. And in true anime fashion, many of the women within the show are quite cute, too. Midori’s determination, Ema’s caring nature, and Yano’s intelligence are quite attractive. The girls’ specific traits, coupled with the fact that this is an anime centered on adults, made this one that much more pleasing to watch. 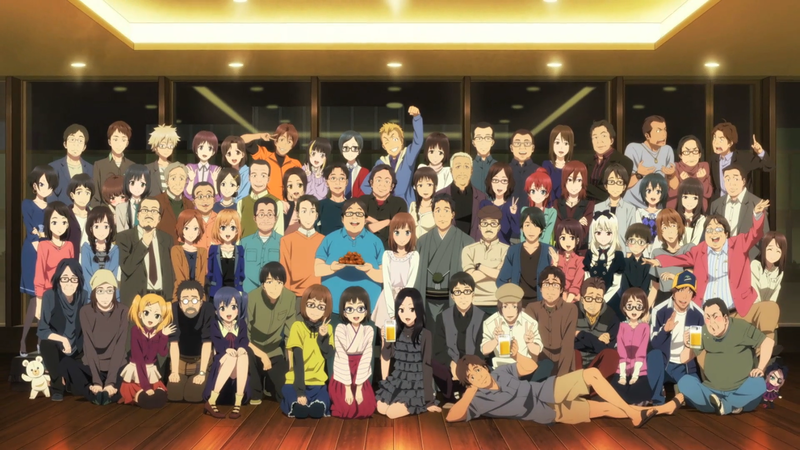 Shirobako’s triumph isn’t necessarily in its diverse cast of characters, slick art, or catchy music. No, what it champions is the subject it tackles. At this point others have already said it, and I agree with them: this is a show all anime fans need to see at least once. For now instead of dreaming about how your favorite anime was made, you simply need to stop by Musashino Animation and witness it first hand, while gaining some valuable life experiences along the way.